ABC's already low Thursday lineup got a little worse as Battle of the Network Stars (0.7) lost a tenth from last week. It was surrounded by steady Boy Band (0.6) and The Gong Show (0.7). NBC decided to shut down Hollywood Game Night for one night in favor of an America's Got Talent clip show (1.2). It was a good bit higher than the average Hollywood Game Night result and helped elevate The Wall (1.2) to a summer high. Despite the lead-in increase, The Night Shift (0.7) was steady with last week. CBS had more comedy repeats (1.0/0.8) leading into Big Brother (1.8) which lost a tenth from last week. At 10, Zoo (0.6) was steady. FOX had the return of their game show line-up. Beat Shazam (0.9) was steady with its last result, but Love Connection (0.6) hit a new low. The CW had the premiere of Penn & Teller: Fool Us (0.4) which was even on a year-to-year basis. 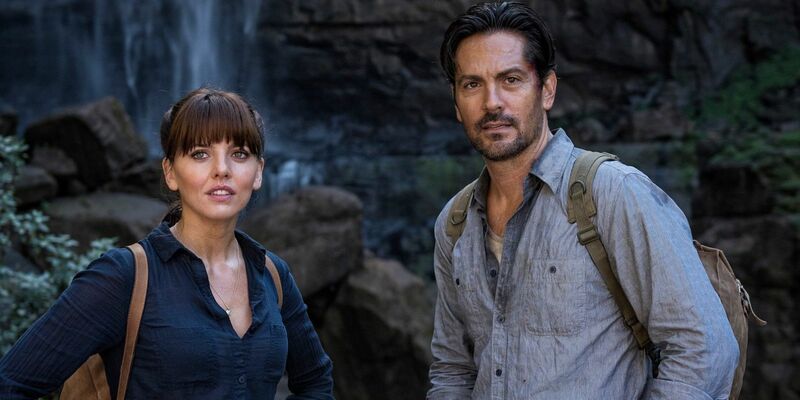 It led into the series premiere of Hooten & the Lady (0.2). The latter had a disappointingly low start. Finals Update: The recap special of America's Got Talent (+0.1) adjusted up. A repeat of Life in Pieces (-0.1) adjusted down.